While some people might think of superchargers as something a tuner adds to an engine, manufacturers use them to cram more air into smaller engines, helping them make more power (it turns out there is a replacement for displacement). Unlike a turbocharger, which is powered by the engine’s exhaust gases, a supercharger is powered directly by the engine via a belt. The most noticeable advantage of a supercharger over a turbocharger (other than the sound) is in the instant power that it can provide at nearly any RPM. Let’s take a look at 10 factory stock supercharged cars, sorted by horsepower from the lowest to the highest. 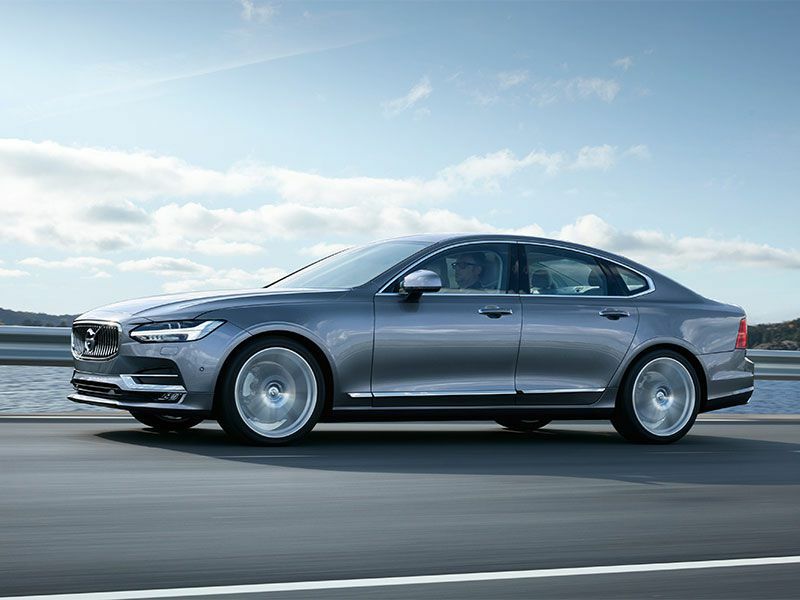 The first car on our list of 10 factory stock supercharged cars is the midsize Volvo S90 T6 AWD. 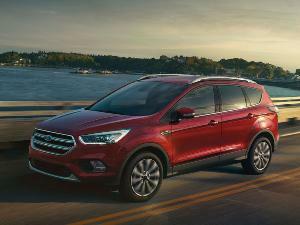 The brand’s flagship sedan, it makes use of a 2.0-liter inline-4 engine that is both turbocharged and supercharged to the tune of 316 horsepower. Paired with the engine is an 8-speed automatic transmission that sends power to all four wheels, which helps the Volvo get to 60 miles per hour in the mid-5-second range and on to a top speed that’s limited to 133 mph. The V90 wagon powered by the same engine should be coming soon, as well as a hybrid version with 400 HP. The compact Audi S5 makes use of a supercharged 3.0-liter V6 that generates 333 horsepower, paired with either a 6-speed manual or 7-speed dual-clutch automatic transmission. 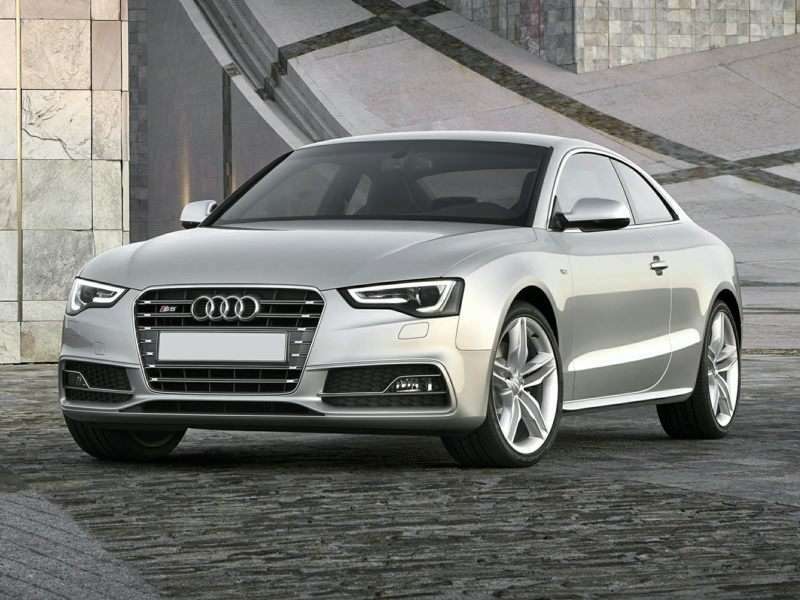 Like nearly all high-performance Audi models, power is sent to all four wheels; however, the S5 is also available with a torque-vectoring sport differential that helps the car stick even better through the corners. The run from 0 to 60 miles per hour takes 4.9 seconds and top speed is electronically limited to 155 mph, all of which helps make the Audi S5 the only German car on our list of 10 factory stock supercharged cars. 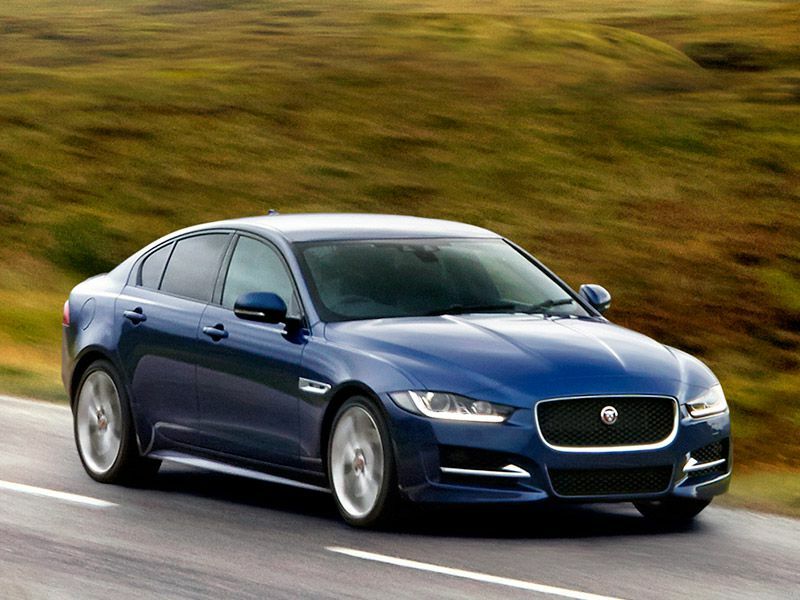 The Jaguar XE R-Sport is a compact luxury car that is available with a roots-type twin vortex supercharged 3.0-liter V6 with 340 horsepower and an amazing exhaust note. 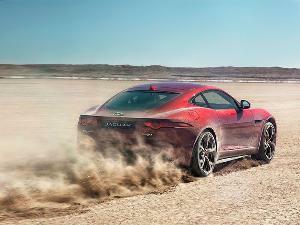 The engine is only available with an 8-speed automatic transmission, though Jaguar does offer a choice between rear-wheel drive or all-wheel drive models. Depending on your needs, similar engines with the same power output can be found in the sporty F-Type (the only application where it's available with a manual transmission), midsize XF and fullsize XJ R-Sport, all of which nearly made our list of 10 factory stock supercharged cars (or did when equipped with one of Jaguar’s other supercharged engines). 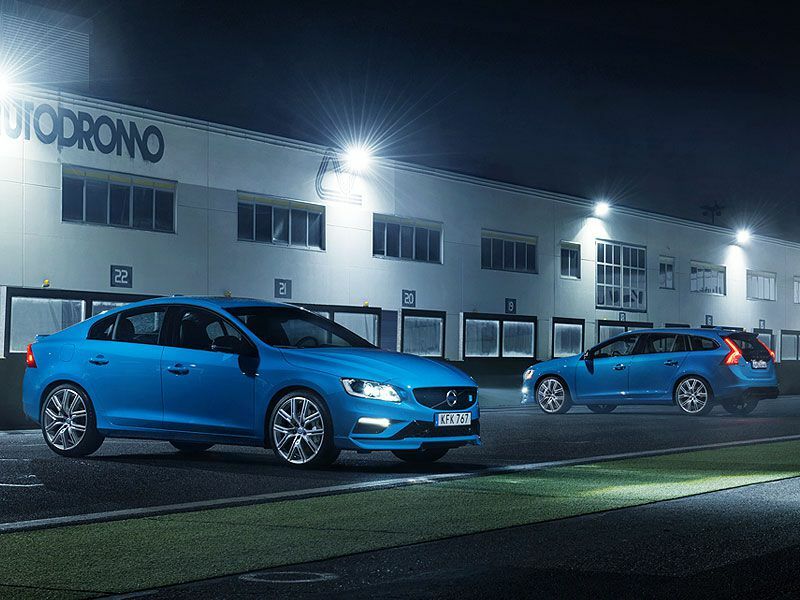 The Polestar versions of Volvo’s compact S60 sedan and V60 wagon use a 2.0-liter 4-cylinder engine that is turbocharged and supercharged to make 345 horsepower. In this application, the supercharger is used to improve throttle response at lower engine speeds, while the turbocharger takes over at higher engine speeds. A more pedestrian version of the engine (still incorporating both a turbo and a supercharger) that produces 302 horsepower is available in the more restrained S60 T6 AWD sedan and V60 T6 AWD wagon, but it's the more exciting and better handling Polestar versions that make our list of 10 factory stock supercharged cars. 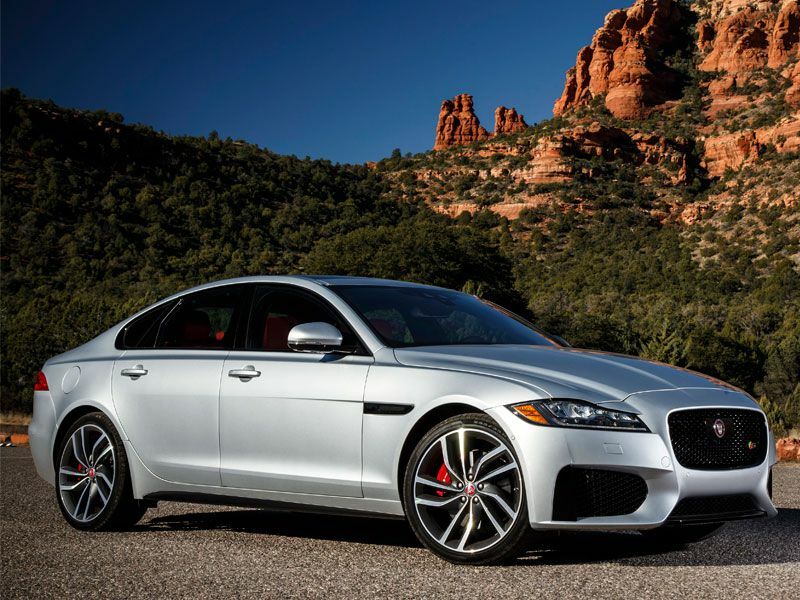 Continuing our list of 10 factory stock supercharged cars is the midsize 4-door Jaguar XF S. Thrust comes from a 380-horsepower supercharged 3.0-liter V6 backed by an 8-speed automatic transmission that sends power to either the rear wheels or to all four wheels, depending on the model; the all-wheel drive version hits 60 miles per hour in five seconds flat (the rear-wheel drive model is 0.1 seconds slower), and both have a top speed that is limited to 121 mph. If you’re looking for something a bit sportier, the same 380-horsepower motor can be found in the Jaguar F-TYPE S (where it can be paired with a manual transmission). 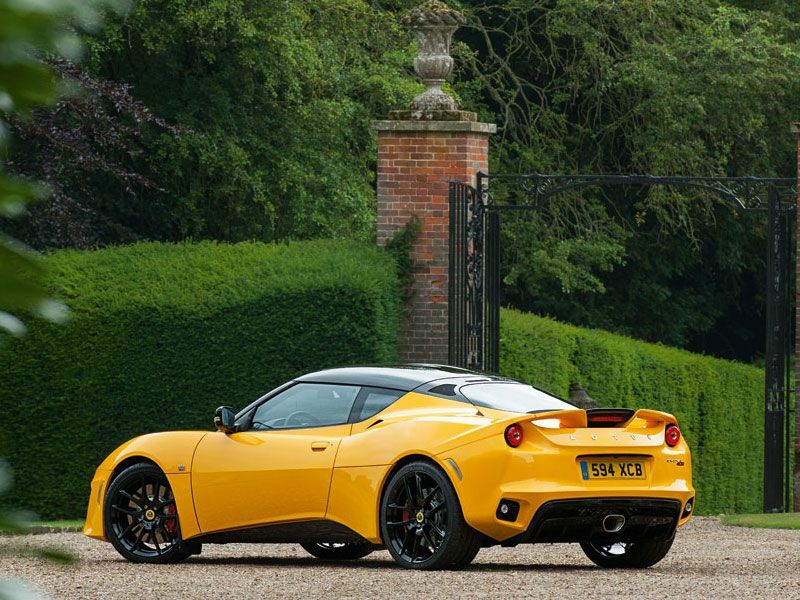 The Lotus Evora sports car uses a modified version of the engine found in the Toyota Camry. 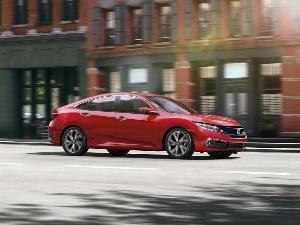 Fitted with a supercharger, the 3.5-liter V6 now makes a very un-Camry-like 400 horsepower, which is enough to motivate the lightweight car sufficiently to get it to 60 miles per hour in just over four seconds and on to a top speed of 186 mph (174 mph in models equipped with an automatic transmission). The car’s light weight, stiff chassis and the typically good Lotus suspension setup make it excellent to drive, especially on twisty roads, but it's the engine that gets it onto our list of 10 factory stock supercharged cars. 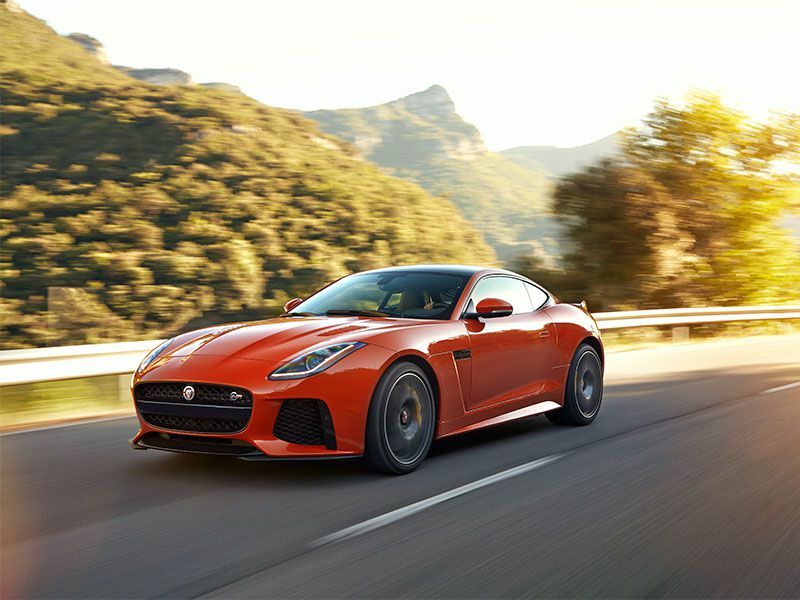 The 2-door Jaguar F-Type SVR sports car is the most powerful car in Jaguar’s lineup, and one of the most powerful cars on our list of 10 factory stock supercharged cars. Powered by a 575-horsepower supercharged 5.0-liter V8 backed by an 8-speed automatic, all F-Type SVRs come standard with all-wheel drive. Accelerating to 60 miles per hour from a stop takes 3.5 seconds and F-Type SVR coupes can continue on to a top speed of 200 mph (convertibles top out at 195 mph). 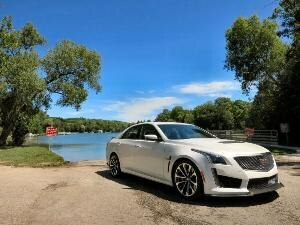 Similar engines (though with slightly less power) are available in the fullsize XJ and XJR as well as the F-Type R.
The Cadillac CTS-V is an American sports sedan that has an engine and chassis that are good enough to beat the Germans at their own game. 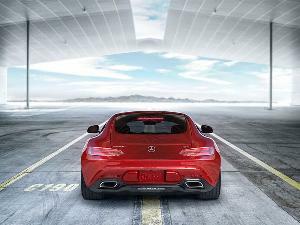 Power comes from a 640-horsepower supercharged 6.2-liter V8 and is sent to the rear wheels through an 8-speed automatic transmission (unfortunately, a manual transmission is not offered). Not only is the CTS-V a rocket ship in a straight line, but the Magnetic Ride Control suspension means that it can more than hold its own in the corners as well. 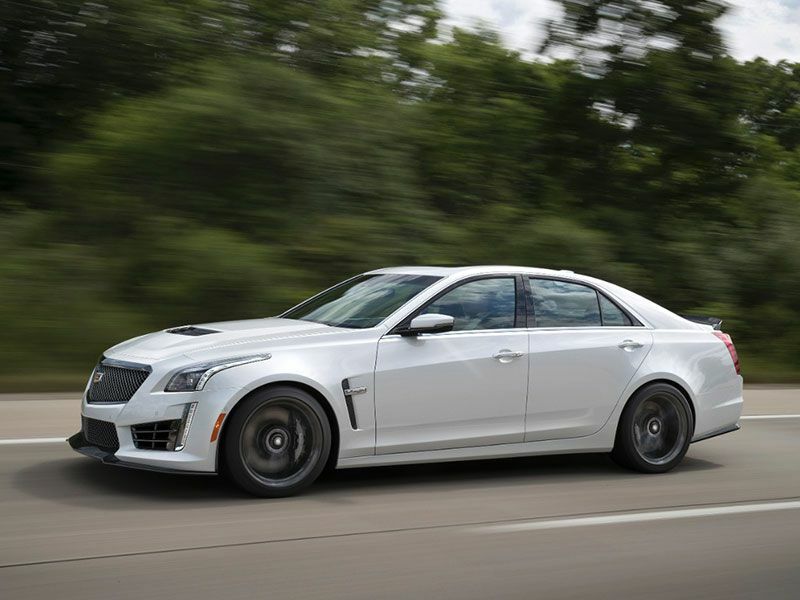 The combination of handling, luxury and power makes the CTS-V an obvious choice for our list of 10 factory stock supercharged cars. 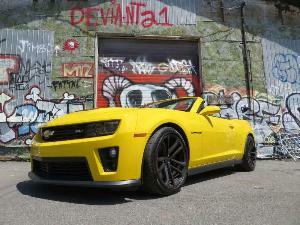 The new Chevrolet Camaro ZL1 uses an Eaton supercharged 6.2-liter V8 that sends its 650 horsepower to the rear wheels via either a 6-speed manual or 10-speed automatic transmission. 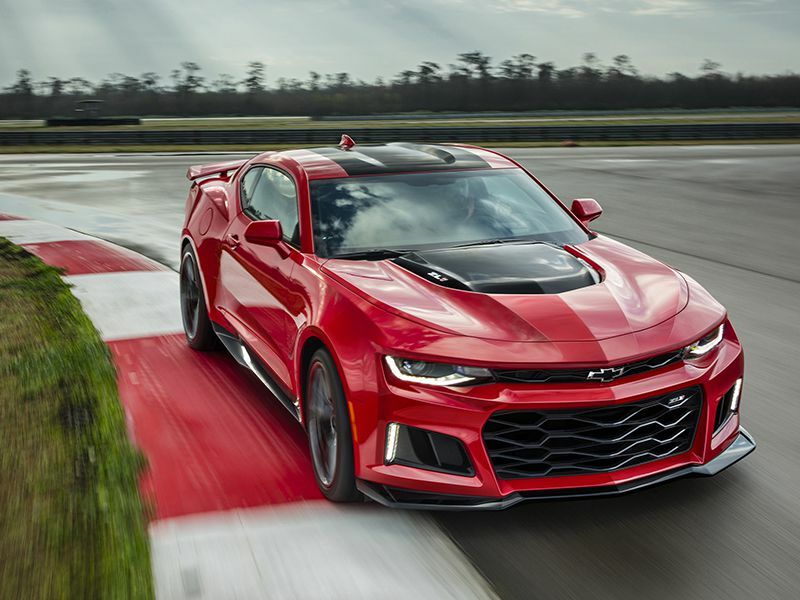 With a sprint from 0 to 60 miles per hour that takes only 3.5 seconds and a top speed somewhere north of 180 mph, the ZL1 is a shoe-in for our list of 10 factory stock supercharged cars. If you want a sportier car and have a bit more to spend, the Chevrolet Corvette Z06 uses a similar engine with the same power levels (but with a few added performance items, such as a dry-sump lubrication system). 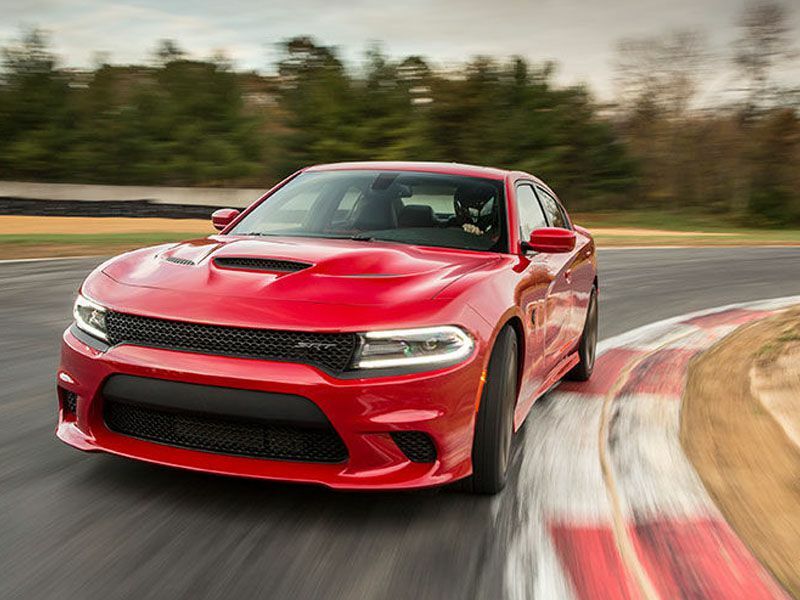 If you’re looking for a practical 4-door sedan that just happens to have supercar levels of power, the Dodge Charger SRT Hellcat might be the car for you. 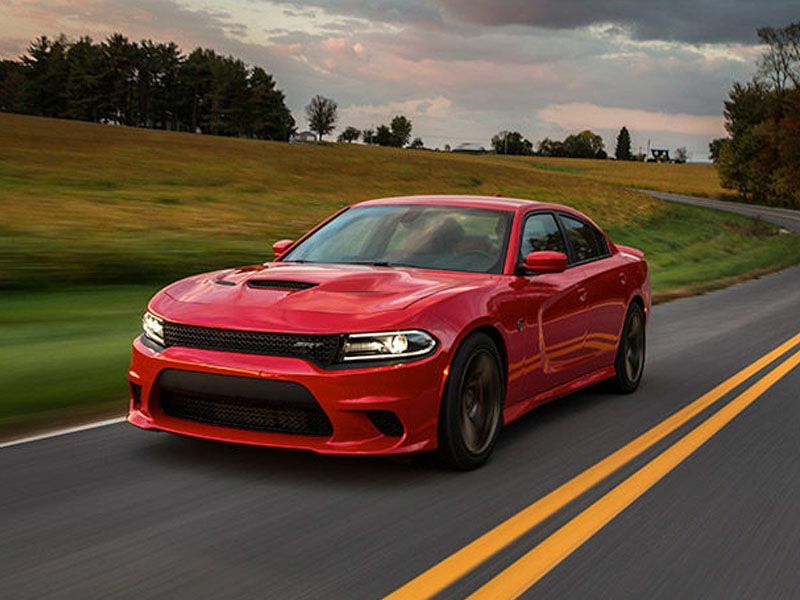 With 707 horsepower, the Hellcat has no problems when it comes time to get up and go; the supercharged 6.2-liter V8 propels the car to 60 miles per hour in the mid-3-second range (or in 2.9 seconds with the extra traction that drag radials provide) and on to a top speed of 204 mph. The same engine can be found in the slightly less practical, but just as quick 2-door Dodge Challenger SRT Hellcat.